To support academic pursuits by fostering physical and psychological wellness and by promoting healthy lifestyles among EOU students. The Student Health Center is located on the corner of 6th Street and L Avenue. 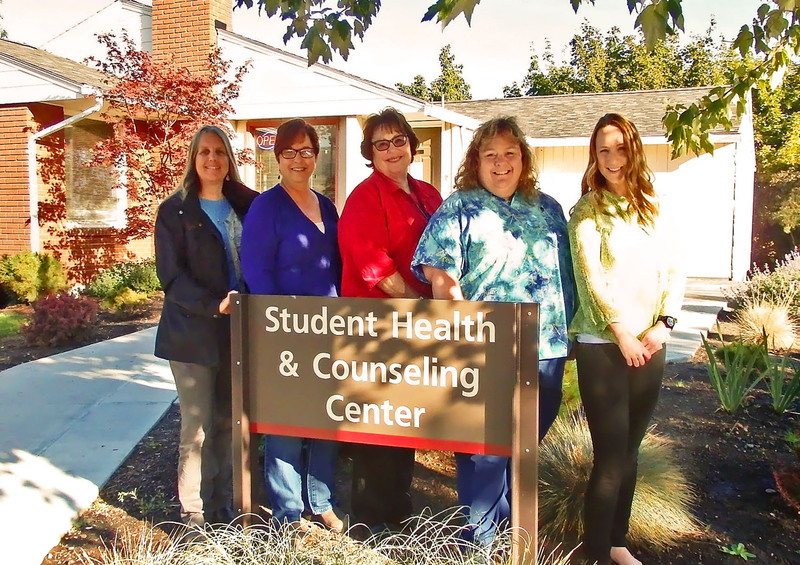 To make an appointment please call (541) 962-3524 or stop by. Walk-in service is not available. *To be eligible for services students must be enrolled in 6 or more credits with at least one credit on campus. Any student may opt-in if not eligible. Body Composition assessment drop-in hours are Mondays and Wednesdays 10:00 am-Noon. Appointments are available at other times. If you have questions about the MMR Immunization Verification form, please contact us at 541-962-3524 or contact Student Affairs 541-962-3635. Severe injuries or illnesses occurring after hours can be evaluated at the Grande Ronde Hospital Emergency Department at the student’s expense. Grande Ronde Hospital is located at 900 Sunset Avenue, La Grande, Oregon. Grande Ronde Hospital main line 541-963-8421. We advise that you only use the Emergency Room for truly urgent circumstances, as it is very expensive and may not be covered by your personal insurance.